How quick we are to judge politicians based on what we see or read in the media which, in fact, may be somewhat skewed. 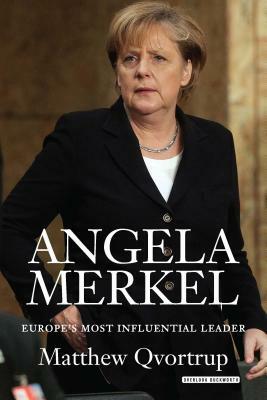 This book is filled with surprising facts abut Merkel herself, and many other world leaders. As the author moves us through Merkel's life we learn about various crises and how the resolution was obtained. This is a fascinating book. What is most amazing is how the author managed to compile so many facts about so many world leaders into this book. I highly recommend this book. Matt Qvortrup is currently professor of political science at Coventry University s Centre for Trust, Peace and Social Relations. Previously, he was academic director in the Department of Security and Management at Cranfield University. He was educated at Oxford and the University of Copenhagen and has written for Bloomberg Businessweek, The Sun, The Scotsman, and The Times. He also appears as a regular commentator for the BBC, on both radio and television."